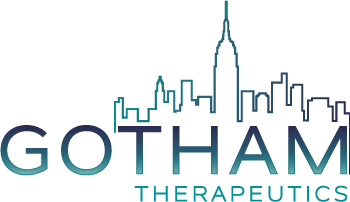 Gotham has attracted a consortium of high-profile investors and concluded a USD 54 million Series A financing in 2018. Versant Ventures is a leading global healthcare investment firm committed to helping exceptional entrepreneurs build the next generation of great healthcare companies. The firm invests across the healthcare sector and at all stages of company development, with an emphasis on the discovery and development of novel therapeutics. With USD 2.3 billion under management and of offices in North America and Europe, Versant has built a team with deep investment, operating, and scientific expertise that enables a hands-on approach to company building. Since the firm’s founding in 1999, more than 65 Versant companies have achieved successful acquisitions or IPOs. Forbion is a dedicated life sciences venture capital firm with offices in The Netherlands and Germany. Forbion invests in life sciences companies that are active in the (bio-) pharmaceutical space. Forbion’s investment team has built an impressive performance track record since the late nineties with successful investments in over 50 companies. Forbion manages well over EUR 1 billion across ten funds. Forbion is a signatory to the United Nations Principles for Responsible Investment. Besides financial objectives, Forbion selects investments that will positively affect health and well-being of patients. Its investors include the EIF, through its European Recovery Programme (ERP), LfA, Dutch Venture Initiative (DVI) facilities and AMUF facilities and the KFW through the ERP – Venture Capital Fondsfinanzierung facility. Forbion operates a joint venture with BGV, the manager of seed and early stage funds focused on Benelux and Germany. S.R. One is the corporate venture capital arm of GlaxoSmithKline. The firm invests globally in emerging life science companies pursuing innovative science to significantly impact medical care. SR One’s team of investment professionals, located in the US and UK, have experience spanning basic science, drug development and commercialization. We take an active role in our portfolio companies and work with management teams and our fellow venture investors to create significant value. In its 30+ year history, SR One has invested >$1.1 billion in more than 180 companies, and its current portfolio includes 40+ private and public investments.